Will all my equipment fit in it? Is the airflow well designed? Will it fit in my workstation? Do I want screw-less installation? How many drives can I put in it? While most manufacturers try their best to address all these issues, there is no such thing as a perfect case. The only thing for manufacturers can do is try to meet most of the demands with their case design and pray that the costumers like it. 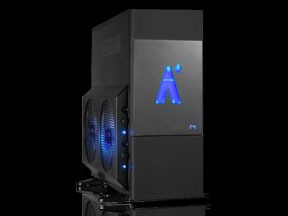 Read on and see for yourselves if Aplus Monolize Case from Tagan is that special case that might just meet your demands. Accessories 26 rails for the disk drives, various screws and spacers, piezo speaker and cable ties.